"While the conforming market has slowed considerably with the rise of rates over the last few months, jumbo lending remains strong," said Mary Kladde, CEO of TCS. "With the increased competition in the market for jumbo correspondents, TCS is proud to add its newest approved sellers to our program and looks forward to providing them with the absolute best customer service." DENVER, Colo., May 8, 2014 (SEND2PRESS NEWSWIRE) — Titan Capital Solutions (TCS), a wholly-owned jumbo correspondent investment subsidiary of mortgage outsource services provider Titan Lenders Corp., announced it has added 13 approved sellers to its correspondent jumbo program in the first quarter of 2014. The additions represent a 20 percent increase in TCS approved sellers since the end of 2013. More than 61 percent of newly approved TCS sellers are located in California and Texas, with an additional 15 percent from Massachusetts. TCS also added sellers from Kansas, Oklahoma, and Utah. Furthermore, 77 percent of newly approved TCS sellers are independent mortgage bankers, while 23 percent are bank holding companies. Titan Capital Solutions – http://www.titancapitalsolutions.com/ – a wholly-owned subsidiary of Denver-based Titan Lenders Corp., was created to support a secondary/capital market strategy for the jumbo correspondent lending channel. TCS is committed to correspondent mortgage lending best practices and has been staffed with deeply experienced correspondent specialists. In addition, TCS embraces a leadership role in the restoration of a private investment marketplace for the mortgage industry. 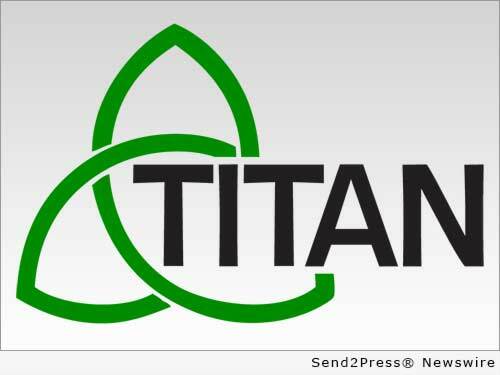 * LOGO 300dpi for media: www.send2press.com/wire/images/14-0501-titan_300dpi.jpg . Original Keywords: Titan Capital Solutions, CEO Mary Kladde, mortgage outsource services provider, Titan Lenders Corp, jumbo correspondent investment Titan Capital Solutions Denver Colorado DENVER, Colo.
REFERENCES: Banking News, Titan Capital Solutions, CEO Mary Kladde, mortgage outsource services provider, Titan Lenders Corp, jumbo correspondent investment Titan Capital Solutions Denver Colorado DENVER, Colo.